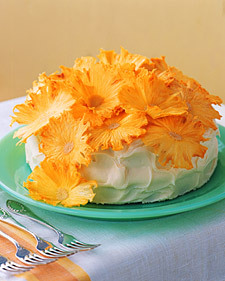 A cool way to decorate your cake and give it that summertime look! 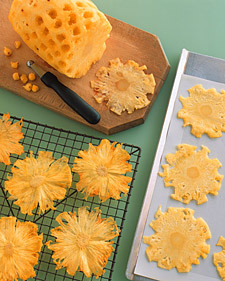 Dried pineapple flower instructions from Martha Stewart. A fantasy turned into reality for cupcake lovers out there…now you can make your very own supersized cupcakes with the Wilton Giant Cupcake Cake Pan now available at Sur La Table. I can’t wait to get one of these! And to top off your creation you can get the jumbo sized sprinkles at Sur La Table too! Jumbo sprinkles (on left)! They thought of everything!